So, like, okay…let’s not turn this into an us-versus-them. There’s plenty of gravity for everybody on this pale blue dot! Because bungee jumping and skydiving are both adrenaline sports that involve leaving a place of security and descending into the unknown, we get a lot of questions asking us to compare the two sports. Once you’ve done both, however, the two set themselves up in such an apples-and-oranges way that setting up a reliable comparison between skydiving and bungee jumping doesn’t feel terribly–well–helpful. The only way to really compare the two is to do both and to draw your own conclusions (which we very highly recommend, by the way!). That being said, we’re going to try to help a lil’ bit. Here are our thoughts on the bungee jumping vs. skydiving question. Bungee jumping and skydiving are both sports: training-requisite athletic pursuits that optimization-minded people engage in for the purpose of getting better at the activity and better as people. 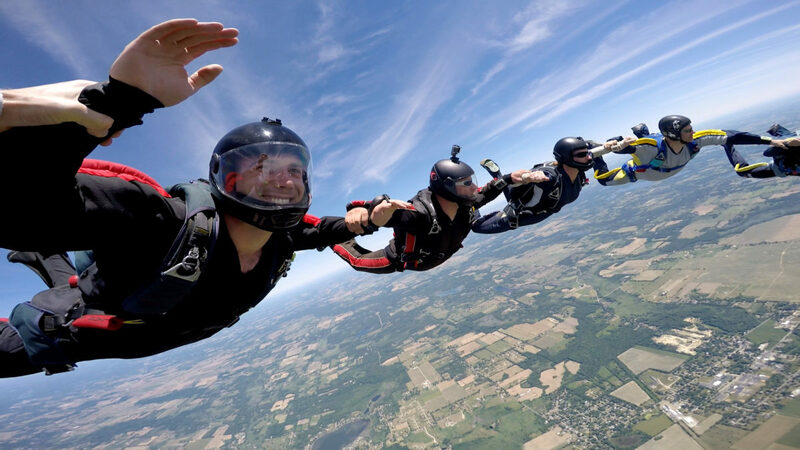 Sport skydivers have thousands of skydives; often, sport bungee jumpers will, too. Both are safety-minded when done correctly and ethically. Bungee jumping operations and skydiving operations both fight unfair reputations for recklessness, but both survive as sports because of the efforts of smart, ethical practitioners who want to keep doing what they love to do. As the larger industry, skydiving has bodies of oversight all over the world, setting high standards for training, equipment and procedures that have been exactingly designed to keep skydivers as safe as possible. (That statistical safety has long since surpassed the safety of driving in a car, by the way.) Bungee jumping has the North America Bungee Association here in the USA, and other organizations in places where the sport has the biggest active populations. Both provide a totally different perspective on everyday life. Whether you’re standing on a platform on the top of a big ol’ crane or peering out from the door of an aircraft in flight, your brain is going to be getting a heavy dose of novelty and stimulation. Both views are full-on incredible–and both views are going to leave you with lasting memories to flick through delightedly in your daydreams. We happen to prefer our green, twinkling Michigan landscape, as seen from a whopping 14,000 feet…but we sure don’t turn down the view from a nice bridge from time to time. Both are communities of like-minded athletes. So: What’s better? Skydiving or bungee jumping? If you’re askin’ us, we think it’s all a matter of preference, and both activities are more than worth a whirl. Honestly, our ideal result from all this is that you make a little science experiment of it. Once you’ve done both, we want to hear your opinion. 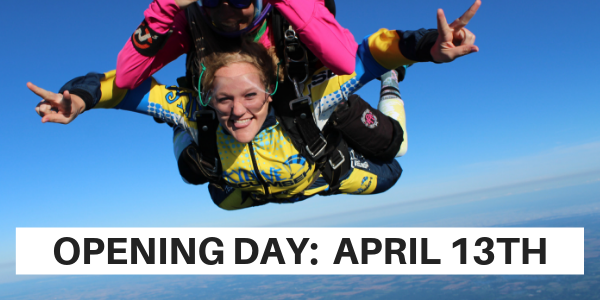 So reserve your jump at Skydive Tecumseh today!